MTVSoft Webcam Recorder is a kind of practical and powerful webcam recorder software which can record up to 9 videos from your webcam or other hardware devices and save these videos in your PC or other storage devices. Webcam video files are saved in Windows Media Format. And while recording, MTVSoft Webcam recorder can record static images every several seconds and save to JPG files. Key Features of MTVSoft Webcam Recorder 1. MTVSoft Webcam Recorder supports to record up to 9 live webcams simultaneously. 2. MTVSoft Webcam Recorder can record webcam images instantly to your hard disk}. 3. MTVSoft Webcam Recorder saves webcam video in Windows Media data format (.wmv file). 4. MTVSoft Webcam Recorder supports all Windows compatible video capture devices. 5. MTVSoft Webcam Recorder auto takes static image files and saves as JPEG format. 6. MTVSoft Webcam Recorder manually can take snapshots with only a click. 7. MTVSoft Webcam Recorder supports adjust the recording resolution, size and frame rate for capture. 8. MTVSoft Webcam Recorder can work together with any Windows compatible webcam capture devices. 9. MTVSoft Webcam Recorder can capture images from as much as 36 webcams in the same time. 10. MTVSoft Webcam Recorder can record what happened without connect to Internet. How to Operate the Software----MTVSoft Webcam Recorder? 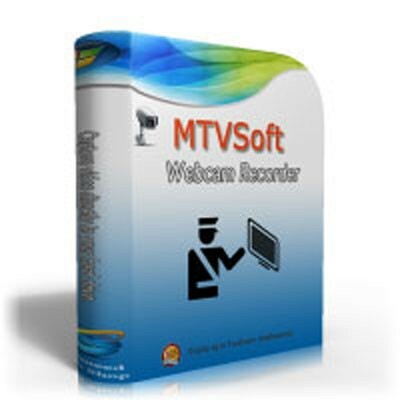 First you need to download and install MTVSoft Webcam Recorder to your PC. Then your can click the shortcut of MTVSoft Webcam Recorder and operate the software. Finally you can record, operate, save and transfer the video according to you need.